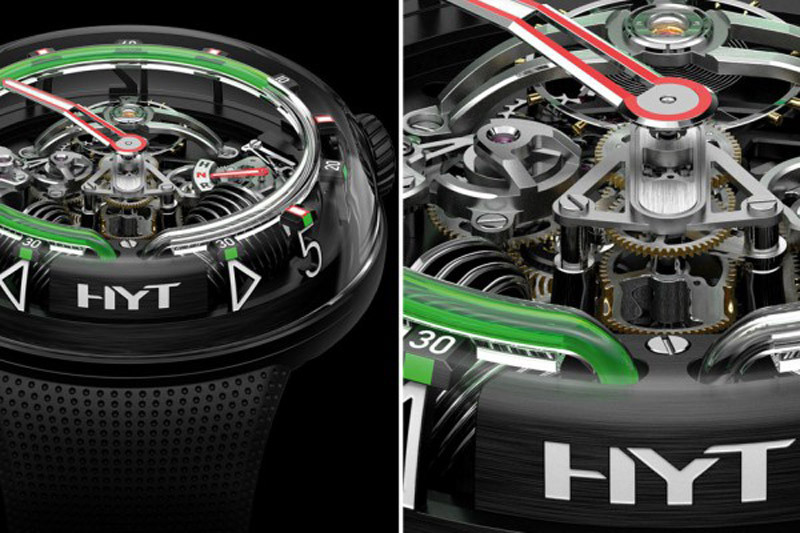 This is probably the most impressive watch of all HYT models that you had the opportunity to see. 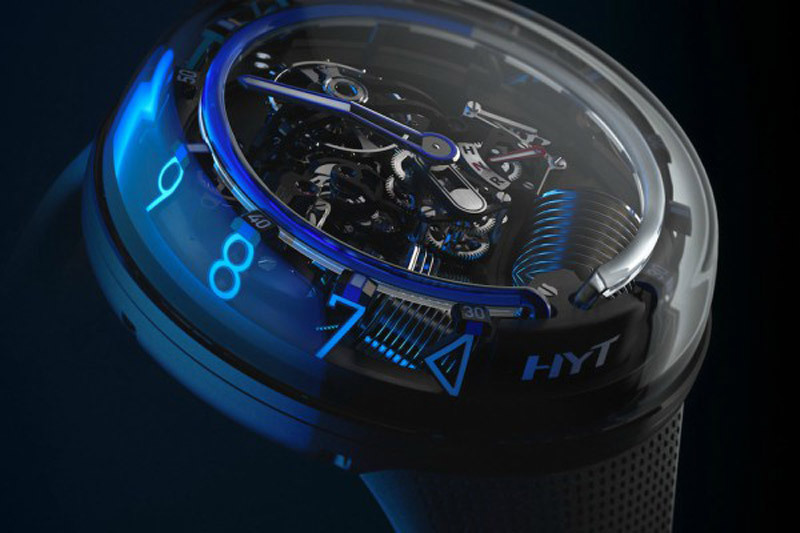 HYT H2.O has a massive sapphire crystal whose design looks like a mask, a crystal and a side case – all in one. 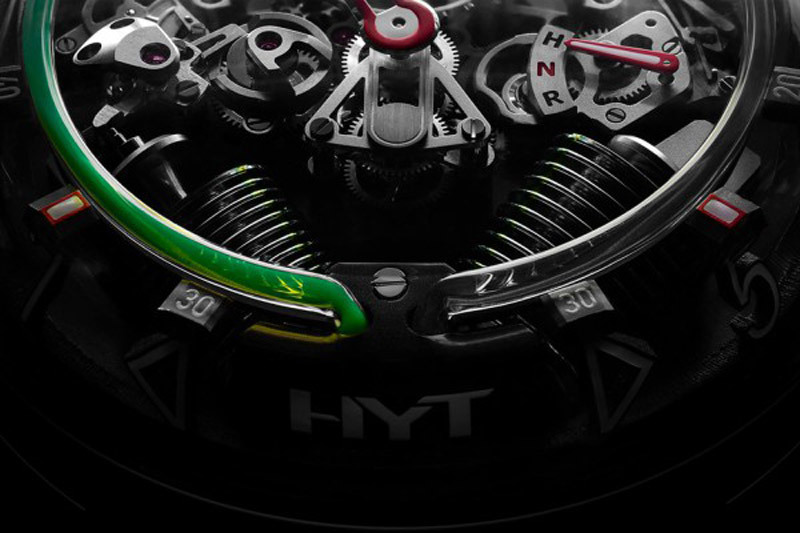 The watch, like all HYT watches, is talking about a time with a retrograde liquid display, which is filled and emptied by two bubbles located in the lower part of the dial. 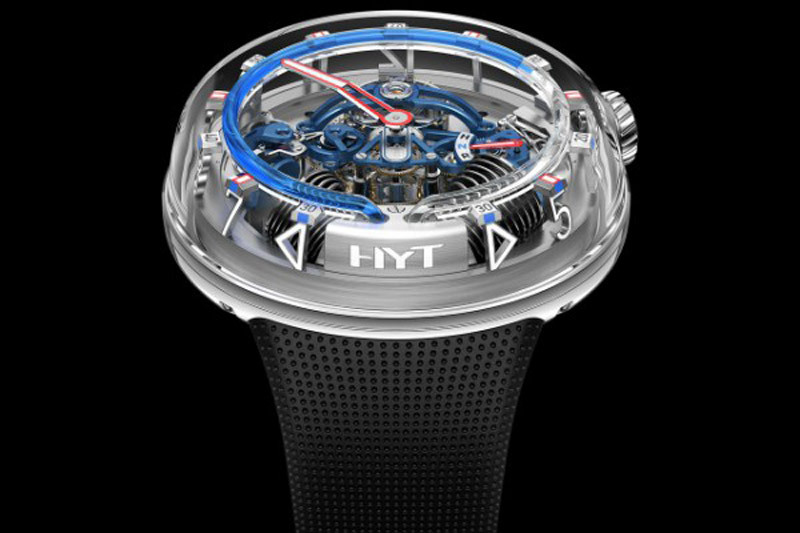 Like the HYT H0 that was introduced earlier this year, this watch also has vertical numbers, which can be seen through a sapphire crystal. 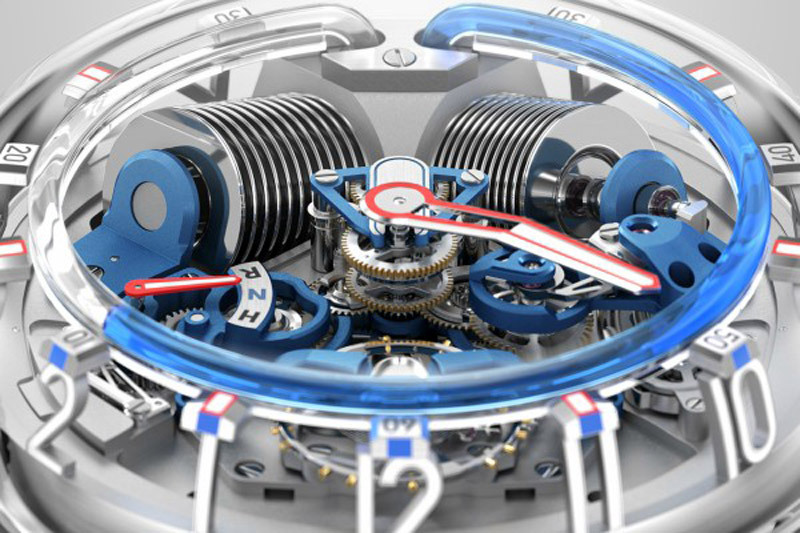 Instead of an enclosed dial, H2.0 is completely transparent, so you can see fluid and mechanics, as well as the balancing wheel swinging back and forth 21,600 times per hour (3Hz). 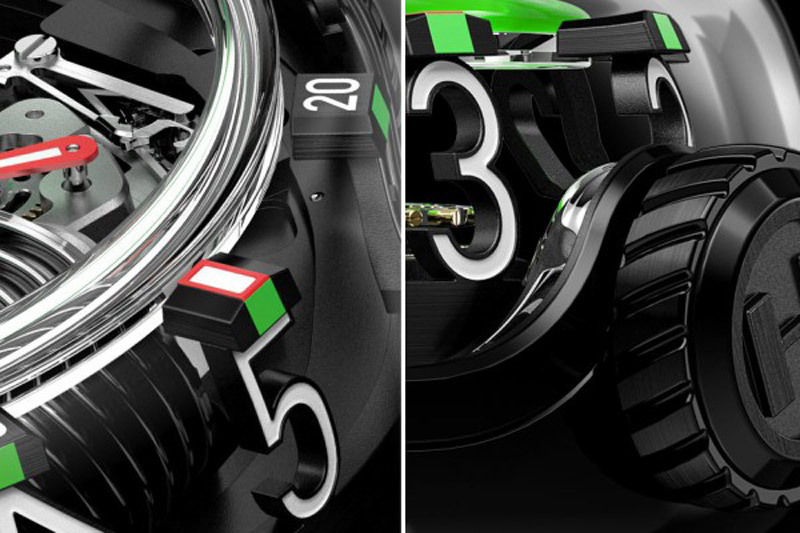 The watch is waterproof up to 30 meters deep. Reserve strength is 192 hours. 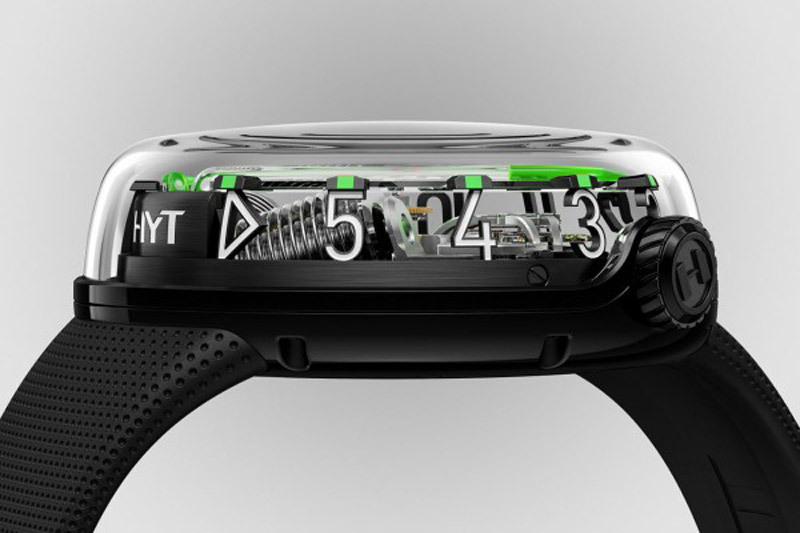 The case cover is made of stainless steel with black DLC coating. 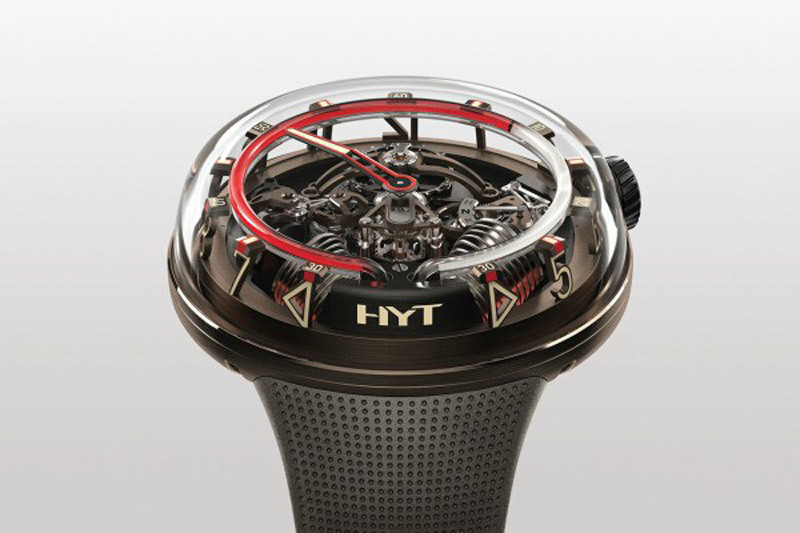 Winding and time adjustment are controlled by a crown at a position of 3 hours. 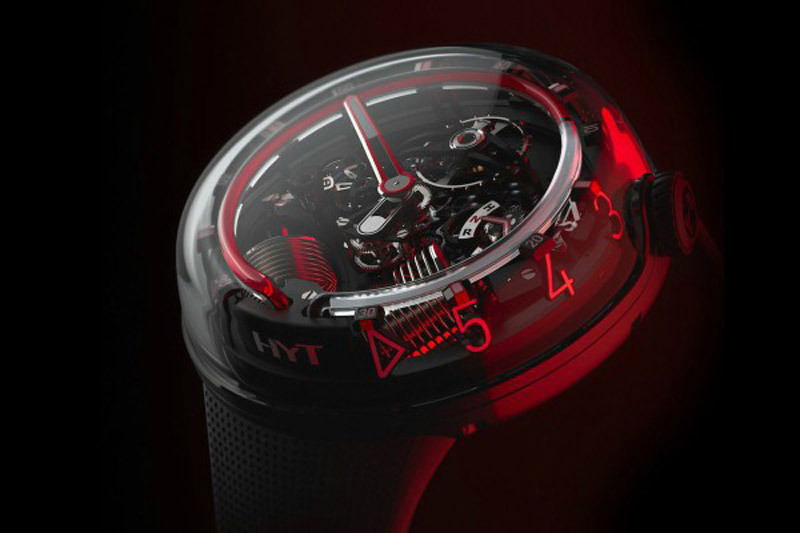 The watch is available in red and blue, each limited to only ten copies.